Identifying areas of NO SMOKING has never been easier. 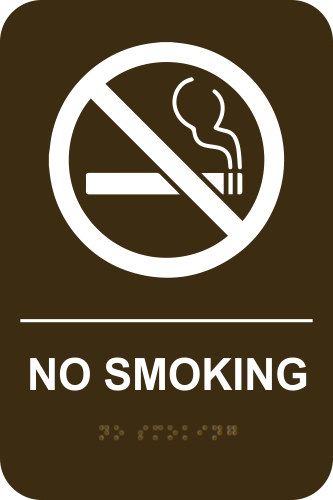 Protect your patrons and products with a NO SMOKING sign mounted where necessary. This brown stock sign comes with complete instructions on hanging to meet federal regulations as well as the adhesive necessary to do so.